The hypnotherapy process retrains the mind to become satisfied with much smaller food portion sizes, so there is no need for more food. It changes the way you think about food leading to the weight loss you desire. The Virtual Gastric Band provides the benefits of weight loss surgery, but without the risk of an invasive operation, and without the expensive medical costs of a physical operation. There are no lengthy hospital waiting list delays, and no on-going medical treatment. The Virtual Gastric Band is for people who want to lose weight, but either don't want or don't qualify for physical surgery. The Virtual Gastric Band is available at a fraction of the cost of real surgery and has comparable results. It is very safe, has no side effects, does not involve the use of drugs, it is completely painless, and there is no need to take time off from work in order to recover. 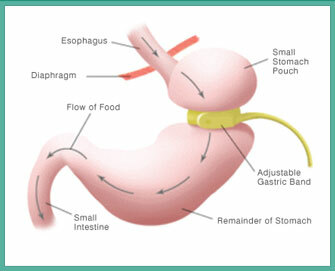 The Virtual Gastric Band Program was founded by Sheila Granger in the United Kingdom. Having trained directly with Sheila Granger on The Virtual Gastric Band procedure, we have been offering the program through our clinic located in Sunbury, Victoria, and from time to time we also run The Virtual Gastric Band Program in regional areas of Victoria, NSW, South Australia and Tasmania. If you are located outside of Melbourne and don't want the inconvenience of travelling to our clinic in Sunbury for each session, we do have the possibility of conducting the program directly with you via SKYPE, so don't let distance be a deterrent to your participation in The Virtual Gastric Band Program. The program is run over 4 sessions, so you will need to book into one session per week for the four sessions. As well as the four sessions, we also record two personalised CDs for you. All of the sessions including the CDs are personalised to the individual, so before you commence your sessions we will ask you to fill out a comprehensive confidential questionnaire so that we can prepare and structure your sessions and your CDs specifically for you. The CDs are hypnotic sessions in themselves and they run for approximately 20 minutes each. You will need to listen to one of the CDs each day through headphones. The sessions are held on a one to one basis. They are not group sessions. The first session runs for approximately one hour, and sessions 2, 3 and 4 run for approximately 30 minutes each. The Virtual Gastric Band is hypnotically installed in the first session, and following the first session, portion sizes are reduced accordingly, thereby leading to the weight loss. We are based in Sunbury, Victoria, and from time to time we also run The Virtual Gastric Band Program in other regional areas of Victoria, SA, NSW and Tas. Skype sessions are available so don't let distance be a deterrent to your participation in The Virtual Gastric Band Program. Should you wish to book into the program, please call us on 1300 116 117 and we will process your booking over the phone. "The Virtual Gastric Band provides the benefits of weight loss surgery, but without the risk of an invasive operation, and without the expensive medical costs of a physical operation"